Until recently, I shared a personal trait with the majority of Americans. I am not referring to my comical fantasy about winning the lottery. (Unfortunately, I still cling to that pathetic delusion.) Rather, I am talking about the fact that I had never been to Cuba but had always wanted to. Like so many others, I wanted to visit Cuba before the American invasion that will inevitably occur if all barriers to access are ever removed. When I was invited to participate in a Travel Leaders Owners’ Cruise that included a stop in Cuba, I leaped at the chance. As it turned out, we were only in Cuba one full day and late into the evening. I can claim to no longer be a Cuba virgin but hardly a Cuba Casanova, so take my limited observations with a chaser of Cuban rum. Keep in mind I was part of a group sharing an itinerary. The day and evening we spent there can be divided into three parts: a morning walking tour, an afternoon coach ride to Finca Vigia, Ernest Hemingway’s farm (among other stops) and a dinner at the famous Havana restaurant Paladar San Cristobal. So I invite you to don your Guajiro straw fedora and Guayabera shirt or your Bata Cubana dress, as you prefer, and join me for a whirlwind Rumba down the backstreets of Havana. When I say, as I do in my title, that Havana is a city of contrasts I mean that both internally and externally. The first contrast with the US that practically runs you over (and will if you are not exceedingly carefully when crossing the streets), is the ubiquitous nature of the 1950’s cars. From the moment you exit the cruise port and customs hall and cross the street to the Plaza of San Francisco, the first thing you notice is all the vintage automobiles zipping about. Not all are as well maintained as this one but for someone who remembers the 50’s (as recounted to me by my Grandfather, or course), the wave of nostalgia was palpable. As you might imagine, a country as poor as Cuba forces the populace to capitalize (note the irony) on the tourists in any way possible. The expectation of tips is not exactly subtle from the street performers of various stripes to the attendants outside every toilet. If you merely glance, you may be forgiven. If you pause, however, to appreciate or certainly to snap a picture, it is is expected that your free hand will be reaching for a small gratuity. In pointing this out, I am not acting as a critic, simply a chronicler. 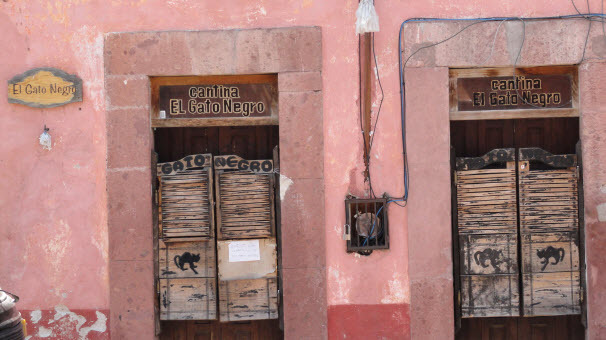 As we wended our way through the narrow streets, an internal contrast emerged between a few relatively well maintained edifices (mostly of government, historical or touristic importance) and the majority of buildings in various degrees of disrepair, if not more accurately, dilapidation. Without a doubt, my three favorite stops along the way were the Hotel Ambos Mundos where Ernest Hemingway famously occupied a room on the 5th floor, a nameless sidewalk cafe where the group paused for a Cuban coffee (that, parenthetically, ripped off the already paltry number of chest hairs I could previously boast) and best of all, a stop at the La Bodeguita del Mundo. If you are conversant with Spanish you might have guessed that this bar began as a small store before it graduated to the most famous bar in Havana. In actuality, this modest little tavern has not one, but two claims to fame (however dubious they may be). It was the haunt of many famous people, while among them is purported to be Ernest Hemingway. I will leave it to others to determine if the inscription inside the bar, “My mojito is La Bodeguita, my daiquiri is El Floridita” with his signature beneath is genuine or a forgery. The same may be said for the claim that my drink of choice, the Rum and Coke or Cuba Libre, was invented here by US soldiers who cut the strong Cuban rum with Coca Cola to slow down the rush to inebriation. Some stories are just too good to be questioned! I am not normally one to buy souvenirs but when you run across the first car you ever owned by yourself, how can you resist. I believe when I bought the car the color was blue but I almost immediately plopped down the $39.95 (yes, the decimal is in the right place) with Maaco (as I recall) to have the entire car painted this exact shade of yellow (unlike the two tone below). When I turned into the school parking lot, I wanted to turn all the girls’ heads, which I accomplished. I just didn’t realize they would be heaving at the same time. As usual, I have waxed eloquent (or maybe just waxed) to the point where common decency demands I bring this little post to a merciful close. But before you imagine you have escaped my Cuba musings permanently, think again. We are just up to noon. We haven’t even had lunch at the Gran Hotel Manzana Kempinski yet. So tune in next time for the coach ride to Hemingway’s farm and our night on the town at San Cristobal. If you really enjoyed this first post, you can buy me a rum and coke when we reconvene! With all deference to Garth Brooks who earned multi-generational wealth singing about friends in low places (I have a few of those too), it also pays to have at least a few in high places. When my bride informed me that for our X anniversary (insert very large, very round number of your choice here) she yearned to visit the great state of Maine, I confess I had the dazed look of a lonely slice of pizza sitting on the counter, ordered but not picked up. Exotic foreign itineraries I can plan in my sleep . . . and often do . . . but like a lot of folks in the travel business, I am a lot less comfortable with the good old US of A. And last time I checked, Maine was still part of the US, if just barely so, clinging by her icy fingertips just south of something called New Brunswick, where I suppose they make all those bowling balls. The image is a skiff sailing through heavy fog. Either that or I forgot to wipe off the camera lens. Somehow I managed to shake the dust off a couple of little gray cells and remembered that I had a former travel agent colleague named Steve Hewins who, along with his wife Kathy, lives in Portland (luckily the one I needed . . . the one in Maine). In point of fact, he now runs a restaurant and inn keepers association. So I shamelessly paraded my ignorance and asked him what is the best way to see Vermont, New Hampshire and Maine in a week. He quite correctly pointed out that, lacking an AH-64D Apache Longbow helicopter (which you may be surprised to learn I don’t currently have in my garage), I was asking the impossible. I rephrased the question to ask how much could I reasonably expect to see in a week. He laid out an itinerary that began by flying to Burlington, Vermont, renting a car, driving pretty much due east (as due as you can do on winding New England roads), landing in Bar Harbor, Maine where we would be forced to make a course correction or start taking on sea water (see Bass Harbor Light House below) and working our way south down the coast to Portland, our departure city for home. This plan turned out be a perfect confluence of lack of time and lack of money. For those with a stomach for hearing about someone else’s vacation, I will recount the trip in sequential, and possibly excruciating, order. Feel free to drop off and fly directly home at any point. Whoever said getting there is half the fun obviously has never flown with inclement weather. Both our flights to Burlington and from Portland home had their share of stress, delays and frustration. It was all weather related so American Airlines deserves none of the blame. They did all they could to make the experience bearable and, in fact, shortly after returning home I found a voucher for my wife and bonus AAdvantage miles for me. Thank you AA! When we finally arrived in Burlington, exhausted and covered in road film, we had three nice surprises in a row. Upon check in at the Alamo car rental desk, they didn’t have the nondescript car we had booked and informed us they would just have to give us an Infinity QX30 for the week at the same price. We graciously accepted without a fuss. Then we arrived at the Homewood Suites which exceeded out expectations. Finally, there was a great little Italian restaurant called Pulcinella’s directly across the street. It is amazing how a delicious lasagna and a couple of glasses of classic Chianti can improve your outlook. Considering at one point we were nearly certain we weren’t going to even make it to Burlington on the same day, the 18 hour marathon ended on a quite cheery note. The following morning, feeling well rested, we drove to the nearby quaint village of Stowe. First stop was the Trapp Family Lodge where the Trapp Family Singers settled after escaping the Nazis in their native Austria. If you have no idea who the von Trapps were or what I am talking about, go back and watch The Sound of Music a couple of times and, if that doesn’t work, try yodeling to clear your head. After a delicious lunch in the Whip Bar & Grill back in Stowe, we headed back to Burlington to take a cruise on Lake Champlain whose shores touch Vermont, New York and even Quebec. This is no modest lake in size. It is 107 miles long and 14 miles across at its widest part. We decided to forego a 250 mile jog around the lake and instead took one of the many tourist boats that ply those waters. The two hour cruise offered food, an open bar and fascinating commentary about the historic significance of the lake in Revolutionary America. I was very impressed that the Spirit of Ethan Allen had invested in a state of the art sound system that made listening a pleasure. Below is a picture of a small lighthouse that guards one end of the harbor. Per Steve’s suggestion (a recurring theme during this trip), we ended our day on Church Street, a very cool pedestrian area of downtown Burlington lined with shops and restaurants. We dined at Leunig’s Bistro and Cafe where the table arrangement invites . . . OK requires . . . making new friends. Being sociable folks ourselves, we didn’t mind listening to the life story of the waitress and the couples on either side of us even if their dreary lives were nowhere nearly as fascinating as ours. This will have to conclude the first part of our journey but should you have the inclination, not to mention fortitude, to return to this site, you will learn all about Ben & Jerry’s (not to be confused with Tom & Jerry), the documented wildest weather anywhere in the United States and even how to roll a Lobster (which somehow sounds a trifle prurient). Until next time, “Live Free or Die” as we newly minted New Hampshirites like to say. My abject apology to English grammarians around the world (or better yet, across the seas) for trampling upon their sacrosanct rules governing comparatives and superlatives. I was an English major myself so, for what it’s worth, my sin . . . while no doubt mortal in their eyes . . . was at least not committed unconsciously. The reason for the title is simply that the time-worn phrase “Good, Better, Best” just doesn’t cut the mustard in this instance. Shall I explain? Indeed, I shall. Royal Caribbean International next May will launch a newly enhanced luxury at sea program called the “Royal Suite Class”. This program offers three levels of delicious self-indulgence. Picture yourself standing on the spacious balcony of one of these suites as I was just a few days ago on the Anthem of the Seas. Your gaze quite naturally falls first upon the glistening sea below, then rises to the brilliant sky above and finally, as twilight falls, to the luminous panoply of stars beyond. Thus, the names of the three tiers almost begged from the beginning to be known as Sea Class, Sky Class and Star Class. See how easy this all is when you have moi to guide you by the hand! Something all three classes have in common is access to the Coastal Kitchen, a dining option exclusively for suite guests and Pinnacle members. Think a fusion of Mediterranean coastline and California farmland. They pretty much had me when I read about ” . . . Med-inspired tastes like Serrano ham, whipped goat cheese and roasted grapes.” Granted “whipped” and “roasted” sounds a little violent from the food’s point of view but I am pretty sure you will enjoy the results! This particular class has one category perfect for families. On the Quantum Class of ships, the Family Connected Junior Suite provides the greatest number of guests in connecting rooms of any suite configuration. It provides space for up to 10 guests! I am desperately trying to picture nine other friends, relatives or even passing acquaintances willing to share that level of intimacy with me and so far I am drawing a blank. If you find yourself both wealthier and more popular than your humble scribe (not a high bar), you will just have to move up to the Star Class on one of the Oasis class ships where the Four Bedroom Family Suite sleeps fourteen! All three classes of suites afford access to two other fantastic features. The first is the suite lounge where you will enjoy 24-hour access to this intimate setting which offers complimentary breakfast and evening drinks. Secondly, you can recline in the comfort of a plush lounge chair and bask under the Caribbean sun in a private Sun Deck reserved just for you . . . well, you and a handful of other discriminating suite guests. This year has been a pretty good year for you, all things considered. Are you ready to take it up a notch? If you have ever stayed in a five-star hotel, you know the value of a great concierge. When you book this class, your exclusive concierge will assist you in booking priority reservations and theater seats. Take a look at all the suite benefits and concierge services that are at your disposal. You haven’t been pampered like this since you first learned as an infant to scream your head off in the middle of the night sending your parents scurrying about like the fire alarm just went off. If you book the Star Class, you receive all the amenities listed in the chart above PLUS unlimited beverage package, complimentary specialty restaurants, in-suite hand crafted cocktail service, complimentary minibar, Nespresso coffee maker service, complimentary fitness class, complimentary in-suite movies, daily gratuities included, Duxiana mattress, and Frette linens, towels and robes. With all those inclusions, I have saved the bestest for lastest. For the Star Class guests, Royal Caribbean is introducing something called the Royal Genie Service. The concept is not just to attend to your every need and desire (legal and moral, let me qualify) but to actually anticipate them. The rumor is that these future genies are being trained even as we speak at the London School of Mental Telepathy. To summarize, the Royal Suite program will be available on two classes of ships: the Oasis Class and the Quantum Class. There are three tiers of suites: Sea Class, Sky Class and Star Class. Finally there are sixteen different categories of suites such as Royal Lofts and Owner’s Suite. I beg you, don’t try to sort this out all on your own. You will only bruise your precious little gray cells. Instead, reach our to one of our Royal Caribbean experts. Why not let your Royal Genie service begin with the booking process? One of the absolute best things about being in the travel business is getting to visit places I have never been before. As Simon Raven said, “…life is short and the world is wide” so it is hardly surprisingly that there are still many places that my foot has yet to touch. When the chance arose to do a Globus Journeys tour of Portugal and Spain, I was on it like an Anatidae on a Phyllophaga (or duck on a June bug as we say here in Texas). The extent of my previous knowledge was limited to a vague awareness that some of the world’s best port comes from Portugal. 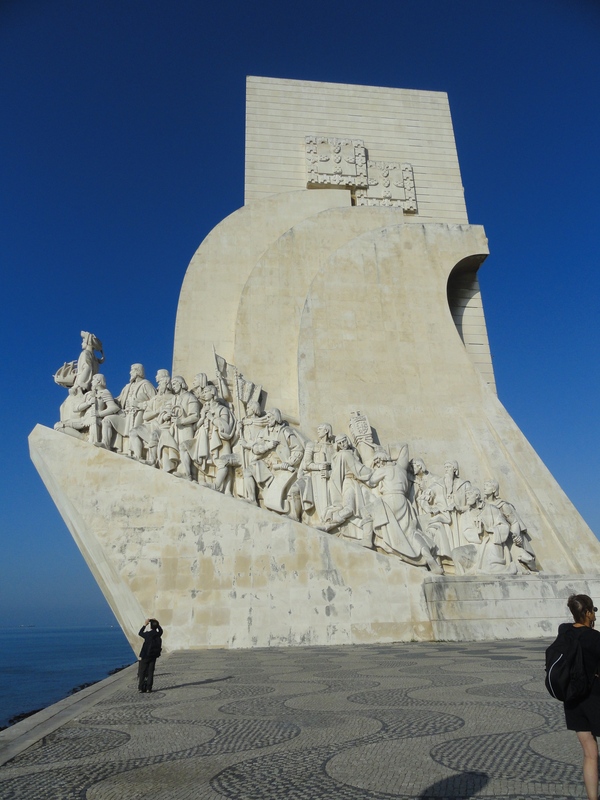 It took me about half an hour to be smitten like a junior high schoolboy with Lisbon and its environs. One of my criteria for a great European city is that it must be walkable. Every other mode of transportation, with the exception of one I am about to mention, moves too fast for my plodding little gray cells to absorb the surroundings. 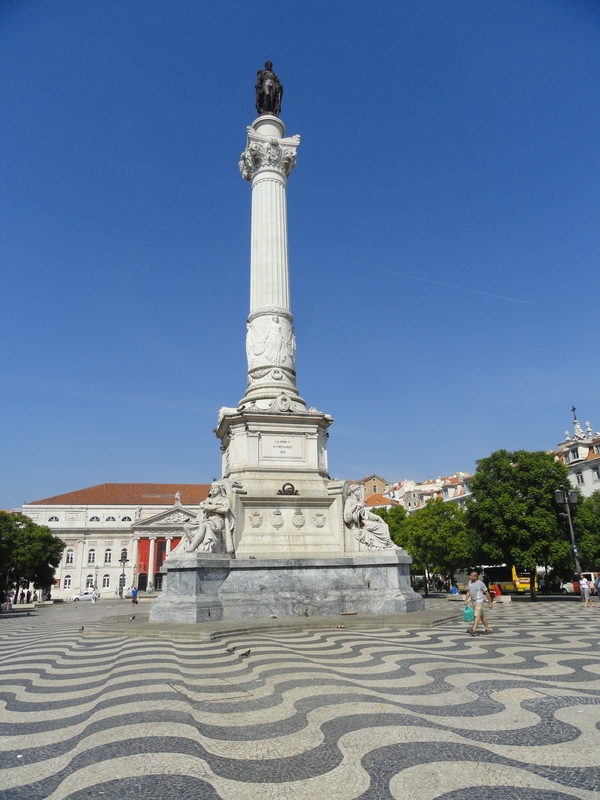 Lisbon is eminently walkable if you have a strategically located hotel like the Sofitel Liberdade Lisbon. Turn right out the front door and you have before you a beautiful twenty minute walk down to the Tagus River. Another option besides walking is the concept Lisbon has borrowed from Thailand called Tuk Tuks. They can be found scurrying about everywhere like little pregnant motorcycles. By sheer good fortune, we selected a Tuk Tuk driven by young lady named Teresa (a name shared by my wife) and whose father owns ColourTrip Lisbon. She had recently started driving for her Dad and was a delightful hostess for her beautiful city. You can do thirty minutes, an hour or two. We did one hour and had her drop us off back at the hotel at the end of one of the most enjoyable sixty minutes in my recent memory. One of the most striking things about Lisbon is the hills that offer some very impressive vantage points. The locals know it as The City of the Seven Hills. 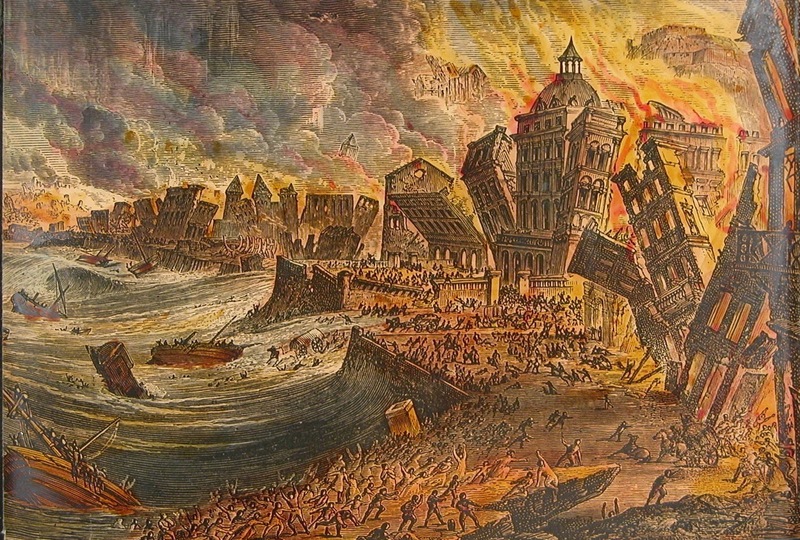 From a historical point of view, the most infamous event in Lisbon’s storied past, without question, was the cataclysmic trifecta known as the Earthquake of 1755. Striking at 9:40 in the morning on Saturday, November 1st, All Saints Day, it destroyed most of the city. I called it a trifecta because it combined a horrific earthquake, a calamitous tsunami and devastating fires that raged for five days. Leaving on that less than cheery note, let’s recover our serenity with a glass of wine at the My Story Hotel. Even though we stopped in a couple of times at their charming sidewalk cafe, I never did learn what their “story” was. Maybe I was too awestruck by the modest prices. Two nice glasses of Cabernet and a large bottle of water was eight Euros (about nine dollars). That illustrates one of the most appealing things about Portugal and to a lesser degree Spain. Due, no doubt, to its well publicized economic woes, everything seemed strikingly affordable, especially by European standards. Another thing I found fascinating was the language. Portuguese, of course, is one of the five romance languages all of which are largely based on Latin. I have a passing familiarity with Spanish . . . by that I mean I can get into a conversation in Spanish, I just can’t ever get out . . . and assumed I would be able to pick up a little of the Portuguese banter. That was not the case. The “sh” sound is ubiquitous in Portuguese. Portuguese, to my ear at least, sounds like a Czech school teacher shushing her class of students in Spanish with a decidedly French accent. I had two separate native speakers tell me that they can understand virtually everything the Spanish say but the Spanish look at them as if they were speaking Mandarin Chinese! 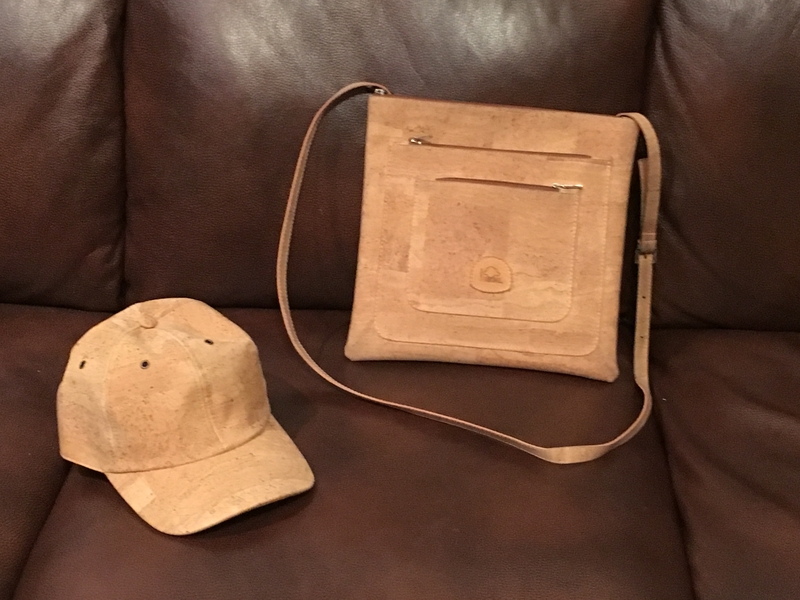 I wish I had a dollar every time over the years I have been told to “put a cork in it.” I am finally going to take that advice by putting a little cork in this blog post. Did you know that Portugal produces over half the world output of commercial cork? Of course you didn’t. That would make you as smart as me and we can’t have that, now can we? As usually, there is so much more to say but our journey beckons. I will close with this bit of sage advice. If you want to visit Europe and you’re looking for a place rich in history, gastronomy and hospitality but exceedingly kind to your pocketbook, Portugal needs to be your next Port O’ Call. That is, if you don’t mind being shushed all the time. You can view all the pictures I took on this trip here.